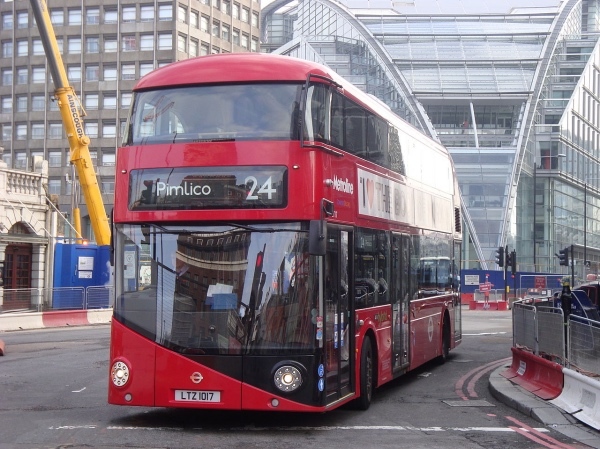 London’s oldest bus route is commonly cited as Route 24 which runs over seven miles from Hampstead to Pimlico. The route was first launched in 1910 but initially stopped at Victoria Station. It was extended to Pimlico just two years later in 1912 and has largely unchanged ever since (apparently with the exception of some minor adjustments due to one-way traffic schemes). The route, which operates 24 hours a day, does take in some key landmarks of London – among them Trafalgar Square, Horse Guards Parade and Parliament Square. In 2013, Transport for London, said some 28,000 people used the route each day. In 1965, the double-decker buses on the route – which have always been powered by motors rather than horses – became the first to have front entry. In 1988, it became the first route through central London to be privatised when purchased by Grey-Green (the line is now operated by Metroline). Mostly recently, in 2013, it became the first route to fully implement the curvaceous new ‘Routemasters’ (while they’ve commonly been called that, the new buses are actually just called the ‘new bus for London’).